We love the title of this article in our local neighborhood publication. Thank you Decatur Focus! We are busier than ever and are loving every minute of it. 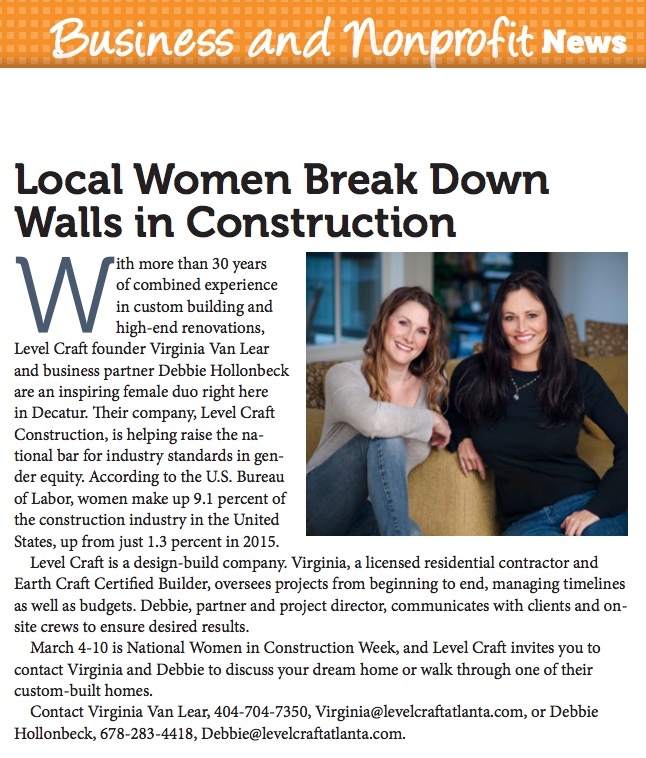 Call us during Women in Construction Week, March 4th- 10th, and let's have a conversation about putting your project in motion. We're ready to get started. There are so many great articles to read in the March issue of Decatur Focus - find out which Saturday is your Neighborhood Cleanup Day, what native plants you should plant in your garden this year, which 5K races to register for, and don't forget Touch a Truck Day. March is a month full of wonderful events. We'll see you around town! Older PostIt's Time for the Westchester Battle of the Bands!